Some of you may recall Rocky. She once lived in a closed down and decaying motel in Nashville. No running water, no electricity... only the shell of a motel with mattresses and headboards fixed to the wall. After moving back to her home state, reuniting with her daughter and getting sober... she found that her life was against the ticking clock. 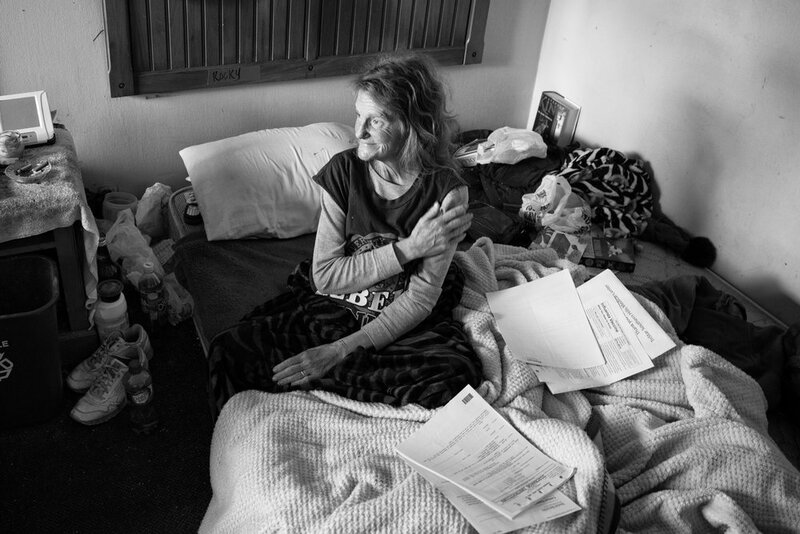 In her last remaining days she was cared for by her daughter and her ex-husband. Rocky passed away this past Friday shortly after midnight. She died with her daughter holding one hand and her ex holding the other. Despite that title of "ex," he wanted so badly to see her feel good, to see her laughing with their daughter - - and he did.